On 8th July 1855 Anne Harrison, daughter of superintending Constable Robert Harrison and his wife, Elizabeth Harrison, was baptised at Cilgerran Church. On 14th March 1858 William Henry Wade, son of Sergeant of Police John Wade and his wife, Martha Wade, was baptised at Cilgerran Church. In 1861 the following persons lived here: Michael Carrell, 28, acting Sergeant of police; and Martha Carrell, 20, his wife. In May 1889 tenders were sought for re-roofing and other works at the Lock Up. 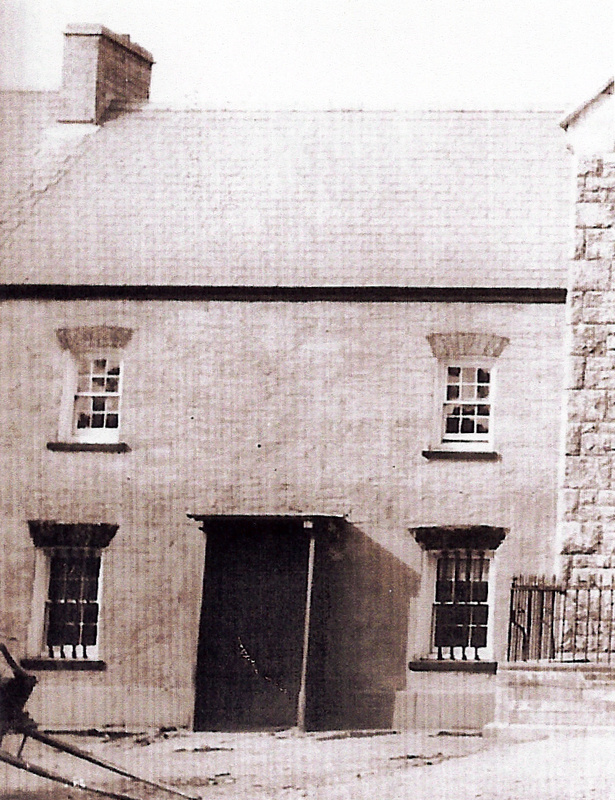 In October 1890 Police Sergeant Phillips of Cilgerran left for Fishguard and Police Constable Rosser of St. Dogmaels was promoted to Sergeant and transferred here. In 1891 the following persons lived here: John Rosser, 33, police sergeant; Margaret Rosser, 28, his wife; John Rosser, 3, son; and Lizzie Rosser, 9 months, daughter. On 17th December 1891 a son was born here to the wife of Police Sergeant Rosser. In November 1894 P. C. Johns of St. Dogmaels was promoted to the rank of Sergeant and transferred to Cilgerran, and Police Sergeant Rosser was transferred to Fishguard. In February 1898 Sergeant James Carr became Cilgerran’s new policeman. In 1901 the following persons lived here: James Carr, 53, Police Sergeant (b. Middlesex); Mary Ann Carr, 51, his wife (b. Tenby); and May Carr, 20, their daughter (b. Tenby). The household spoke only English. In 1908-20 Sergeant William Morris was based here. In October 1908 Miss Claudia Mary Morris, daughter of Police Sergeant & Mrs. Morris, died aged 20. His replacement was Police Sergeant Phillips. From 1922 until his retirement in November 1932, William Morris was the Sergeant here. On 1st August 1927 Edgar Stanley (“Jackie”) Morris, son of Sergeant William Morris, died aged 20. Sgt. Morris’ other surviving children were: Bronwen Morris; Reggie Morris; Idris Morris; and Leonard Morris. On 4th August 1928 Lionel George Morris of this address was buried at Cilgerran Church, having died aged 15. In July 1929 Police Sergeant William Morris complained about the condition of the Police Station. He had recently lost both sons and his wife was ill, and the doctor believed that the state of the building was the chief cause of his family’s illnesses. On 20th April 1930 Ethel Bronwen Morris, daughter of Sergeant William Morris, married Henry J. W. John of Haverfordwest. Idris Morris was elected a Trustee of Penuel Baptist Chapel, Cilgerran on July 8th 1932. In 1935 Police Constable Owen & Mrs. Owen lived here. In early January 1945 Gordon Owen of this address was home on leave from the forces. In February 1945 Police Constable Owens left and Police Constable D. L. Gronow became the Police Constable stationed here. In 1952, Police Constable D. L. Gronow lived here with his wife. In October 1956 Police Constable D. L. Gronow announced his retirement. On 9th January 1959 Cilgerran Police Station was scheduled for closure – despite local protests. 1845 Police Station in colourwashed Cilgerran slate rubble with slate gabled roofs and brick end stacks. Two storey, two-window range with widely-separated windows, all 12-pane hornless timber sashes with painted slate sills and painted recessed stone voussoirs forming slightly-cambered heads. Ground floor windows have vertical bars. Door to ground floor centre with projected timber hood on brackets and projected timber sides. Raised slate plinth. In April 2000 the building had been altered with wide modern timber-framed windows with replacement sills and without voussoirs. Modern half-glazed panelled door, retaining original doorcase. Babell, Cilgerran – Annual Report 1952. © Glen K Johnson 12/08/2013. Apart from J. R. Phillips’ book mentioning a few, I’ve only got one or two names, and I can’t for the life of me remember if Moses Griffiths held the position. It wouldn’t surprise me if he did. Perhaps compiling a list between us should be a project for 2014! who was their sister. Four brothers went to war in the first world war and all returned albeit with trench foot. 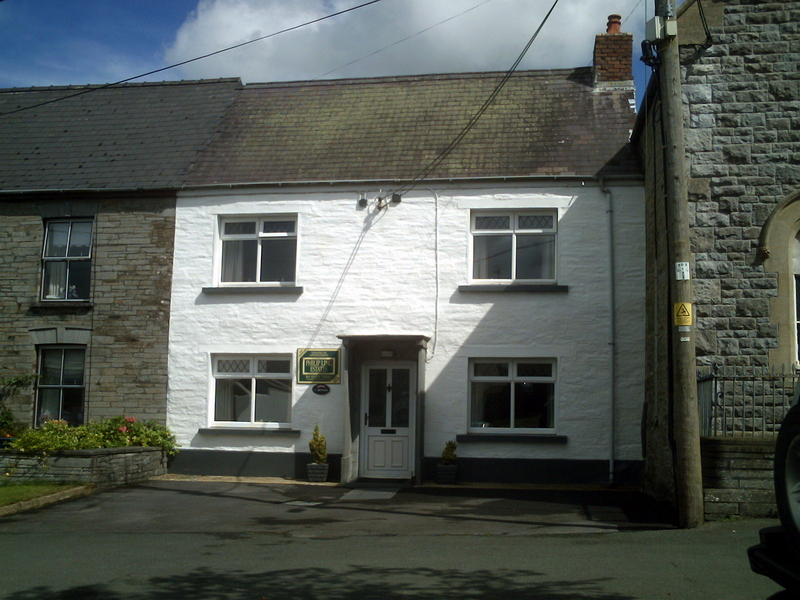 Hello Glen: I really appreciate your fascinating article on the Cilgerran Police Station. My great great grandfather was John Thomas. The birth certificate of my great grandfather Benjamin Byron Thomas states he was born “second January 1865 Police Station Kilgerran Father John Thomas Police Sergeant Mother Anne Thomas Formerly Davies”. It was exciting to see a picture of the building where my great grandfather was born and read the history of the police station. I’m hoping you may be able to help me with unearthing the history of a property in Cilgerran. I have just purchased a house named Highbury; a house opposite the Cardiff Arms Hotel and infronmt of the old police station (next to the Babell Chapel). I understand from the previous owners that Highbury as it is now known, was previoulsy the viillage court house – do you know if this is correct? I would love to know more about it’s history and if you are able to help me, that would be fabulous!